Phnom Penh (Cambodia) – May 12, 2017 (travelindex.com) – Fifty years since its founding, ASEAN is in transition, evolving gradually into a more open community, with young people driving change, business, government and civil society leaders from across the region said in a session on the “ASEAN Way” at the World Economic Forum on ASEAN. Fielding questions from young South-East Asians, the leaders stressed ASEAN’s accomplishments while at the same time accepting the need for change. ASEAN is moving from being a community of governments to being a community of South-East Asian people, Nurul Izzah Anwar, a Member of Parliament of Malaysia and Vice-President of the People’s Justice Party, said. The ASEAN Way was meant to open dialogue among countries, explained Vongthep Arthakaivalvatee, Deputy Secretary-General, Socio-Cultural Community, at the ASEAN Secretariat in Jakarta. “It was created to bring peace and cooperation.” In response to a participant who asked if ASEAN should move towards creating an “enforcement mechanism” that would allow members to intervene in the affairs of other members, Vongthep stressed that rather than move towards such a mechanism, it would be better to work together to prevent problems. This underscored why education and youth engagement are so important, he said. “Quiet diplomacy is more preferable,” Kao Kim Hourn, Minister attached to the Prime Minister of Cambodia, reckoned. “We engage each other in a discreet and calm manner rather than in an open and confrontational way.” The decision by Myanmar’s military leadership to open up the country’s political system is an example of how ASEAN’s quiet diplomacy helped, noted Thant Myint-U, Founder and Chairman of the Yangon Heritage Trust in Myanmar. “We can say that, to some extent, ASEAN keeping the door open allowed for the transition to democracy. It’s very hard for me to picture how an ASEAN enforcement mechanism could intervene.” Solutions to problems usually have to come from the country itself and not imposed from outside, he added. “For all the weaknesses the ASEAN Way has, over time it has also brought a lot of positive consequences to the region,” John Riady, Executive Director of the Lippo Group in Indonesia, observed. “More and more countries in ASEAN are shifting to democratic rule. 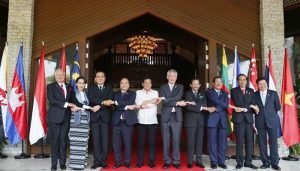 This requires strong leadership.” ASEAN countries are becoming more closely connected, with young people travelling around the region. More than 700 business, government and civil society leaders from 40 countries are participating in the 26th World Economic Forum on ASEAN in Phnom Penh, Cambodia, from 10 to 12 May 2017. The theme of the meeting is Youth, Technology and Growth: Securing ASEAN’s Digital and Demographic Dividends. For a complete resource on the 10 ASEAN countries with travel directory click here.